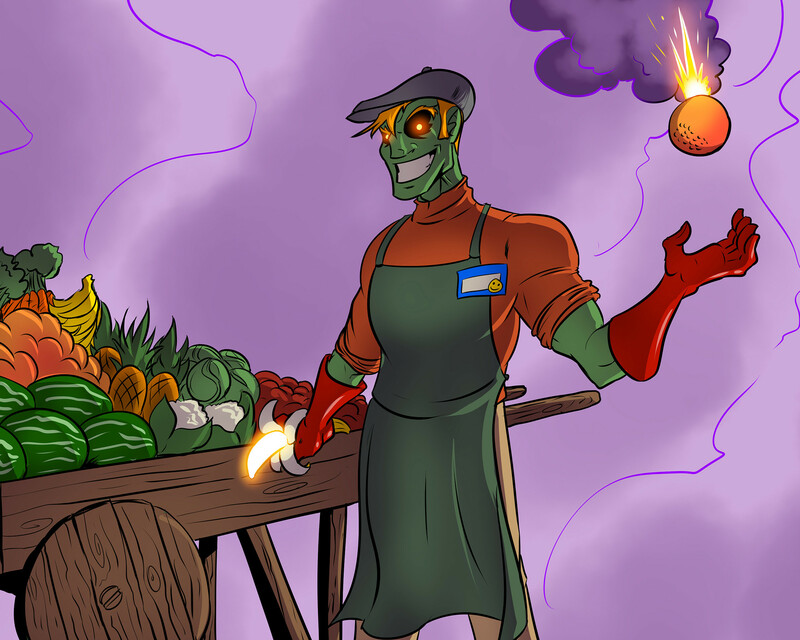 Home»Villains of the Multiverse Update! 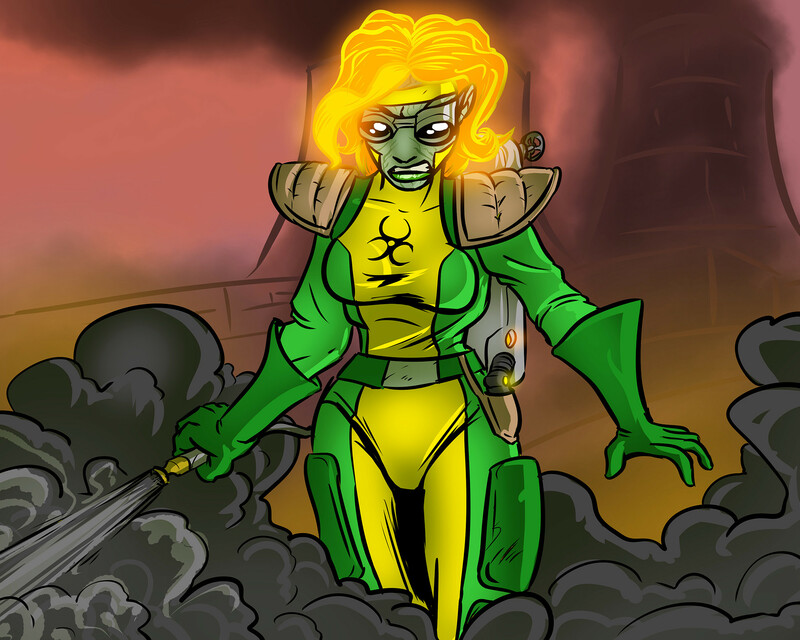 Villains of the Multiverse Update! I'm just posting a quick update to let you all know that Villains of the Multiverse playtesting is going well! It's been ongoing for quite a while now, and the playtesters are all eager for the new set of files they'll be receiving next week. At this rate, the game will be fully completed and off to the printer by Gen Con at the latest, so we're still on track to have this in everyone's hands well before Christmas. One of the highlights of designing villains in the style used in both Vengeance and Villains of the Multiverse is all of the minor villains that make their way into these decks. 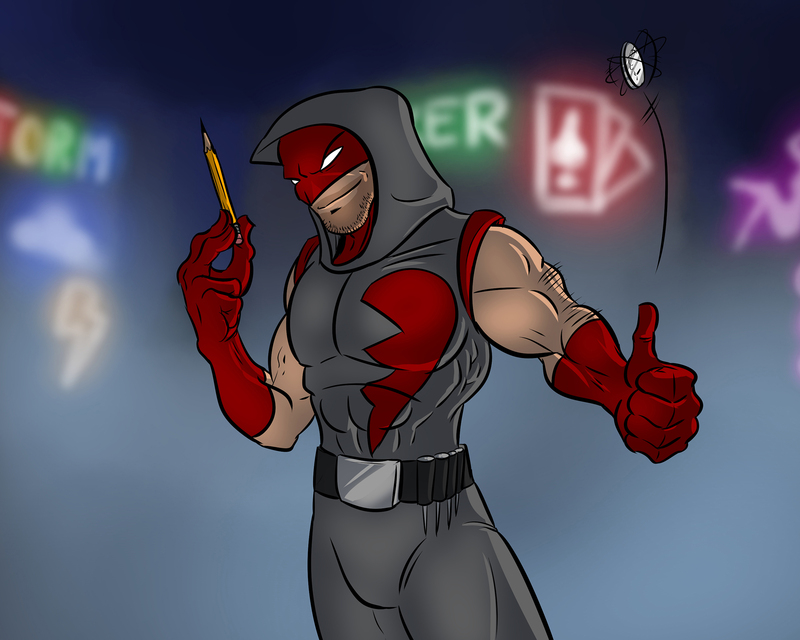 We get to expand on a lot of characters who have only shown up in one or two cards previously, and also introduce new characters who will be making their own mark on the Multiverse. Since I'm here, I figured I could briefly introduce you to a few of them. She's from space! She doesn't like humans flying around space! 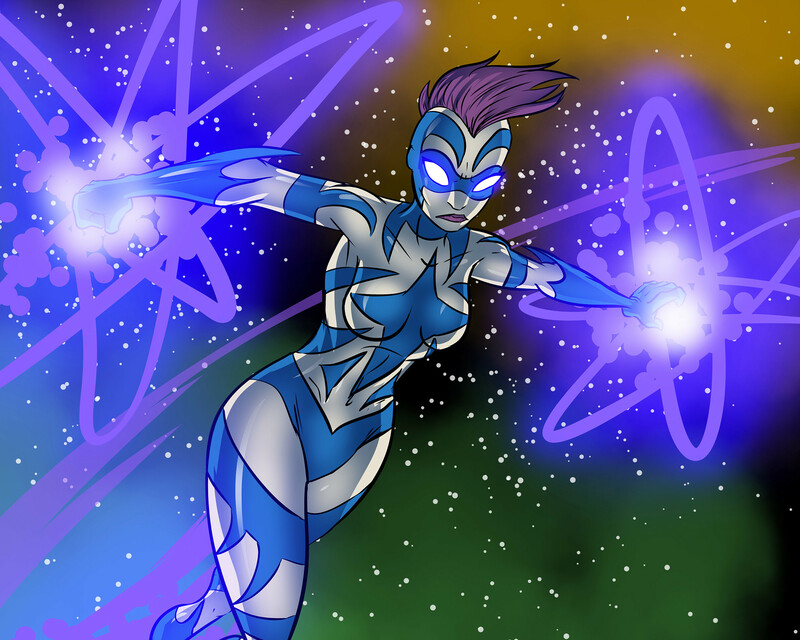 She packs a high-powered energy-punch! It's Galactra! 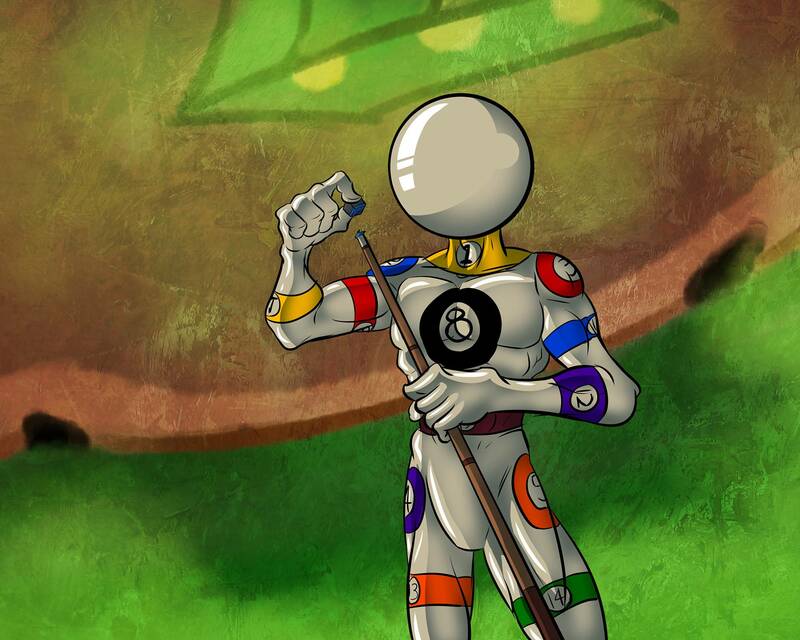 Though many heroes have a hard time taking Cueball seriously, he's not all just fun and games. Beware the toxic Professor Pollution! She is turning the entire world into a poison paradise. He's had his share of hardships, but things are starting to turn around. Heartbreaker, your time has come. 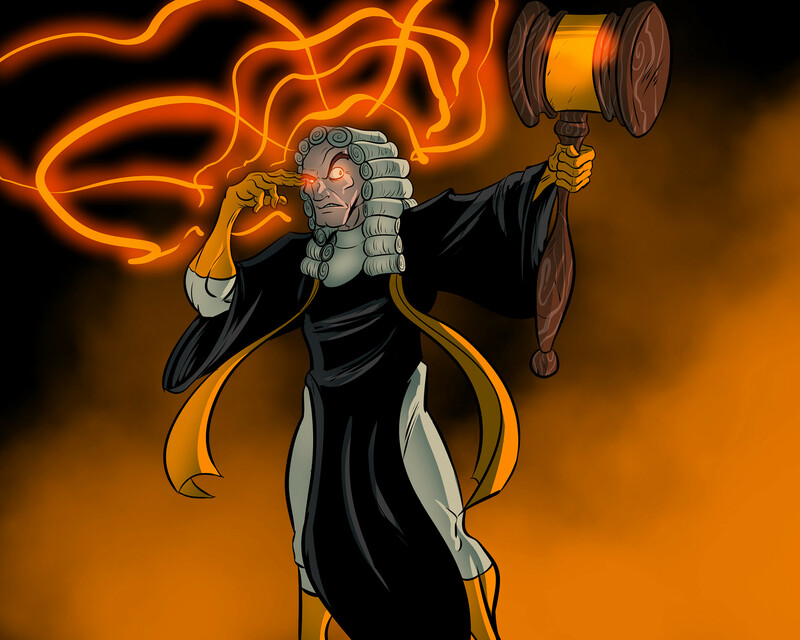 Judge Mental is a powerful telekinesist who judges the actions of the heroes harshly. Court is in session. And perhaps the most dangerous of all of them, the deadly Green Grosser! Does his villainy know no bounds?! Now that you know some of what you're up against, hopefully you are even more inspired to keep on saving the Multiverse! The heroes are going to need all the help they can get. That's just brilliant. Also, I'm curious as to how Galactra ties in with Cosmic/Infinitor. Cueball we see in Guise's deck, Heartbreaker on DW Fixer incap, have the others appearred yet? Galactra is on Captain Cosmic's Harsh Offence, I think. What I'm curious about is who could be in whose deck. Ambuscade, Sergeant, & Plague Rat are probably full of themed targets. I'd think the Biomancer would primarily consist of puppets, but I could be wrong. i could see Galactra in Greazer, Heartbreaker with the Operative, but other than that I've no idea. Thoughts? It has been a while since we have heard anything. I was wandering if there is an update as to how play testing/production is going? Very much looking forward to this expansion! They did demos at Gencon so I believe it's not far off from shipping. I have been wandering too about an update. Not just about the game itself, but the status of the Oversized Villain cards. Anything exciting to tell us?